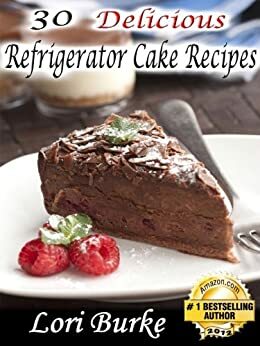 30 Delicious No-Bake Refrigerator Cake Recipes - Kindle edition by Lori Burke. Cookbooks, Food & Wine Kindle eBooks @ Amazon.com. Make mouth-watering, delicious cakes that require little to no baking in an oven! Best-selling author Lori Burke brings you 24 Refrigerator cakes that are fun and easy to prepare. In addition she includes recipes for 6 Refrigerator Poke cakes that require minimal baking but are fun to make and so delicious. That's a total of 30 crowd-pleasing recipes! If you love desserts that melt in your mouth and make you go "Mmmmmm" then this is the book for you! Starts with an introduction and how the author got started on making special cakes. Next chapter talks about healthier options and gives you a list of substitutions that will help you when making the items. There are no pictures. There is no nutritional information. Some recipes call for prepackaged items like cookies, boxes of pudding or cake mixes. Defeats the purpose if you can't see what it's supposed to look like. Some sound really good. and took a lot of time. It was also hard to buy many of the ingredients because of rationing. People developed fake cake using things that were available like Redi-Whip, Marshmallow Fluff, store bought cookies, and gelatin. These desserts became known as Refridgerator Cakes. These recipes are a testament to all of the women that struggled balancing a job and running a home during wartime. 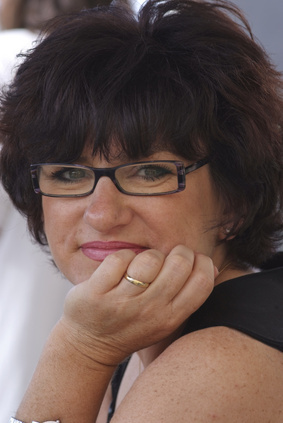 Many people today are facing the same challenges trying to earn a living and make a home. These recipes will enable you to create delicious treats for yourself and for your family and friends. You also will be making memories. I saw this book a few months ago and thought it looked wonderful. I couldn't take it any longer and had to buy it. So the first recipe I read is about cookies and a whipped filling with whipping cream on top. Huh? I called my 84-year old mother and asked her if she remembered anything about "icebox cakes." She was as mystified as I was. How had we missed these? Reading further, I finally found a recipe I recognized and the memories came flooding back. I even remember the ingredients that used to be part of the staples my mother kept in the pantry; not so much today. Then all I could think about was making one of these wonderful creations - I even have coconut left over from another recipe that I can use up! Can't wait to get started. Highly recommended for dessert lovers - and a bonus, most of these recipes can easily be made low-fat with substitutions. That said....I'm gunning for you, Oreo Refrigerator Cake. The recipes all look like they'll make decent desserts but after I had bought the book and started reading it, I found that the recipes were hard to follow. Most recipe books, when the recipe is written, the ingredient list is in the order that you use them. These aren't. Also, the directions can be hard to understand, especially if you're a brand new cook. They aren't very descriptive. I believe the author almost seems to assume that you would know what they are trying to get at. An example: one recipe calls for plastic wrap that is placed inside the pan and then the dessert is made in there and frozen. Once made, freeze the dessert and then frost the topping. What about the plastic wrap? I would assume pull the dessert out of the pan and frost the side that had the plastic wrap once the wrap is removed but you don't know because the author doesn't explain. Overall, looks like a decent book with decent recipes but the editing job that was done was very poor and the author did not do a very good job describing the recipe in how it is supposed to be done. 5.0 out of 5 starsSweet desserts! Some really easy recipes. Will give you ideas to make your own refrigerator cakes. I have bookmarked a few recipes and will definitely give these a go!